This week’s podcast is a slightly different format. I enjoyed a little Q&A session with Erin, my Director of Online Media. She asked me some questions to give you a little behind-the-scenes take on my joe gardener world. For that reason, show notes are a slightly different format too. Unlike all our other show notes, this particular episode I’m featuring in its original Q&A format. I hope you enjoy it! Joe: I’m back with Erin, my Director of Online Media, and we are going to do a Q&A sort of thing, where I’m actually going to be the one being interviewed. Erin is going to throw questions at me that I have no idea what’s coming. She says she has a list together that she’s given some thought to and promises that there’s some garden information mixed into the batch of questions that we have. So hopefully, this will be fun and interesting, and you’ll learn something maybe a little bit about me behind the scenes, but hopefully, some good gardening tips too as she sets those questions up. So Erin, are you ready? How did we come up with this idea for a podcast episode for this time of year? Erin: Well – You didn’t actually come up with this. This was an idea I had. What a lot of people don’t know about me is that I came on board the joe gardener Team as a Super Fan. I knew of Joe for many years through the Growing a Greener World® television show, just watching – just part of the audience. And so I’ve always loved the information that you brought the show in general, and when I came on board through a series of very unexpected events, it was a real thrill for me. But not knowing anything about the world of television production or media production, this has really been a fascinating process to learn. So I pitched this idea to you, because I thought our listeners might be interested to hear a little bit more about you and to hear you talk about the industry as well a little bit. And then we’ll talk more too, as you said, about the gardening side of things. So – just a little bit of “behind the scenes” of joe gardener. Yes – I really do have that many computer screens running most days. 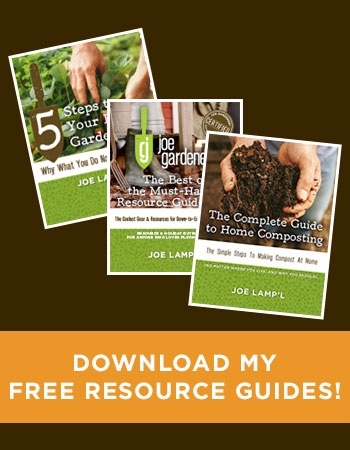 It’s just one of the ways I manage the many aspects of Growing a Greener World and joe gardener. Joe: Okay. So if you liked this episode when it’s all said and done, thank me. And if you don’t then I’ll give you Erin’s email address. You can complain directly to her. Joe: So, she now owns this episode. Joe: It’s all yours. All yours. Erin: So I’m going to start out with a little bit about Joe, the early years. So, there are a few things that you might not know about Joe pre-Growing a Greener World or television hosts days. One of the things, a little tidbit… you were sort of King of the Tennis Courts in your youth, right? Joe: Gosh, you’re going there, Huh? You’re going all the way back there?. Erin: I’m going there. Just a little bit more about you outside the gardening world. Joe: Oh my goodness. Okay. Yeah. Well, I played a time or two, back in the day. I grew up in Miami, Florida, and the truth is, I loved football and I wanted to play high school football. My coaches were very hopeful that I would. I was fast, and I could catch. So I was probably destined to be a really good wide receiver. However, my mother had different plans for that. I think my mother comes in as shaping my life a lot, as I reflect back on hearing myself talk about those early days. But again, her influence, was a “No” or it might’ve been “hell no,” you’re not playing football. “I’m not gonna let you do that.” So tennis was that fallback thing for me, and since I was just down the street from a public park that had some great tennis courts on it, that’s where I spent my high school and junior high school life is playing tennis. And long story short, since I played a lot of tennis, I actually was state ranked and had opportunities to play a tennis in college and, again, opted for the horticulture degree instead of a life as a professional tennis player. Erin: How about that? Do you ever get to play tennis now Joe? Joe: I don’t even think I could connect with the ball. It’s been a long time. So, I would be embarrassed. Erin: So you went to college for horticulture, but you also got a business degree as well, and I believe that was at the urging of your mother. So, she was right and, I was in the business professional world there for awhile. Filming episodes of Fresh from the Garden involved a lot of pressure, but it was worth every minute. 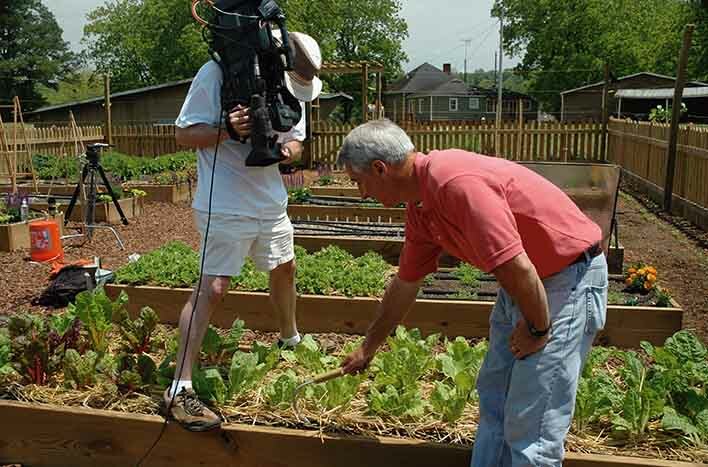 We were teaching viewers across the country how to grow vegetables from seed to harvest. Erin: And actually your first real job out of college was, what now? Isn’t that an accountant? Joe: Staff accountant, And I wasn’t happy. I wasn’t a happy camper. Erin: So for those of you listening out there who might be in a job that you don’t really love, and you’d love to get into gardening. There’s hope. Joe: There’s hope. Now, I will say to my mother’s credit, again, her foresight in recognizing the fact that, the Business Degree would serve me well, no matter what I ended up doing long term, was spot on. Because it was the Business Degree that really set me up when I did make that transition full time into horticulture that really allowed me to create the companies and the brands, and where we are today is using all of that – that business background that I had. So, thanks Mom. Erin: So about how old were you, Joe, when you switched from the business world of accounting, etc. and focused your career from using your Business Degree to using your Horticultural Degree? Joe: Well, you know, I never really left horticulture ever – even when I went full time into business right out of college, because I knew that’s what I wanted to do. So, I immediately kind of wore two hats. I wore my suit, and then I also wore my pruners on my hip for consulting – because I was building a clientele in a business. I wanted to keep sharp with the horticulture side and build my practice and figure it out as I went. I more than dabbled on the consulting side. I created a company called Scapewise and provided the horticultural services while I had my professional degree, but fortunately, an opportunity came around in 2003 to leave the suit hanging in the closet forevermore when I was selected to be the host of that new television series that was starting on DIY Network called Fresh from the Garden. And it was a national search, and they ended up picking me. So, I got to go from a suit and tie to Levi’s and a polo shirt every day, which is not bad. Not bad at all. And I know people loved that show. Erin: That was a really popular show. Erin: So you hosted that show for three years, and then, you went on to host another show as well. Then, you moved on from that to deciding you were going to start Growing a Greener World, your own television show, and not only host but be Executive Producer/Creator. Joe: Speaking of wearing two hats – I was wearing, you know, all the hats for the new show. But the truth is, in the show just prior to Growing a Greener World that I created, I was just realizing, although I was the host of these shows, we were missing an opportunity to really connect with a younger audience to get an important message out there about environmental stewardship. 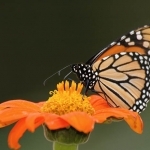 And because so many people are out there are gardening and as they create these beautiful places, they’re creating a lot of not so pretty things in the process – using fertilizers and pesticides and herbicides and things that were harming the environment at the same time. And it didn’t have to be mutually exclusive. You could have great looking gardens and take care of the earth at the same time. So, I felt like nobody was telling that message, and we were losing gardeners at the same time. 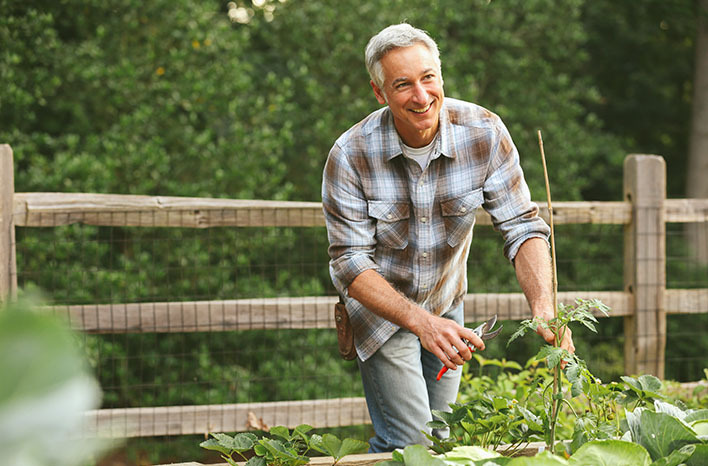 Because younger gardeners didn’t have mentors – as in parents or grandparents – to show them the ropes and lead the way as older generations had, you know? They had those people to teach them gardening, but we were losing them. Then, television coverage was sort of waning at the time too with HGTV sort of dropping off the “G” – as far as the amount of garden shows that they were covering. And I felt like, if I didn’t just walk away from where I was currently doing with another host role for television gardening show and start Growing a Greener World, I may never have that opportunity. Erin: Right, because everybody knows how to start a television show! It must have been difficult to get it started? Joe: Well, I think my passion and blind ambition, and a little bit of business savvy that I developed along the way allowed me to connect the dots and get in touch with the right people. I think I managed to, obviously, pitch the show idea effectively enough to hit the ground running – with four full underwriters that provided the financial support to produce this show, with a crew with multiple cameras and a nice team to travel the country to do what I envisioned. And that was to tell the story of people in places and organizations doing great things for the planet through organic gardening and environmental stewardship and green living. 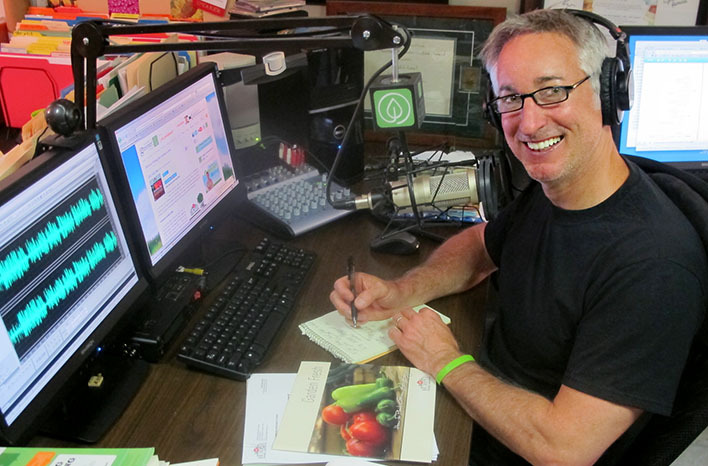 So, it was really – my idea was a lifestyle show with a focus on organic gardening, as I traveled the country to put the spotlight on those people doing good things for the planet. And here we are 10 years later. Season 10 about to start production next month. And, it’s been a fun ride with a recent Emmy win along the way. So, things are going pretty well, very well. A behind-the-scenes photo taken while filming our Season 8 Emmy Award-winning episode on Stephen Ritz (center) and The Green Bronx Machine. Erin: And I would love to be able to share some of the lineup plans for the upcoming 10th season, but I know I’ve been sworn to secrecy by the team. As much as I really, really want to share some of those great stories coming up – I’m going to move on. Okay. Here’s a question, Joe. We all know what a TV show host does, right? I mean We get to watch that for ourselves of course, but what does an Executive Producer do? What does your role comprise as Executive Producer? Joe: Everything else that the host doesn’t do, which is everything. Now, let me just be clear. There is a team involved, but you have the roles of coming up with a show idea, identifying who the players would be to help tell that story best, where is that story best told, when is that story best told, who were the other characters, what are the residual stories, how do you put them all together, how do you tell that story when there’s another story in another episode that you need to tell that probably is best told about the same time of the year? Since this is an outdoor gardening show and everything looks best May through July. How do you put 13-20 something shows into production when you can’t be more than one place at a time. It’s like a Rubik’s Cube and like a thousand spinning plates all at the same time, and you can’t let anyone of them fall. And, then you have to write the show ideas. You have to put the descriptions in place. You have to write the long description, a short description and, then, start reaching out to everybody – and then, the spreadsheet start coming out of your ears, and you start going crazy. Erin: Thank goodness for that business degree skill! Joe: Yeah. So there’s just a lot, a lot, a lot. I laugh sometimes because people say: “Well okay, so it’s November, December, January, February. You must be right in your downtime right now?” And I feel like: What does downtime? Even though, because if it’s not out on the road and full production, then it’s behind a desk at your computer working on getting ready to get out there to do that show or coming back from that show and putting all the pieces in place. Then of course, there’s all the recorded tape that you have to put together to decide how that story gets best told and meeting with your writers and coming up with that. So, there’s just as much on the back end as there is on the preplanning. There you go, there goes the year. It’s gone. Yeah. Erin: Well, alright, I’m going to put you on the spot now. Do you have a favorite episode? Joe: Uh, I have a few favorite episodes. 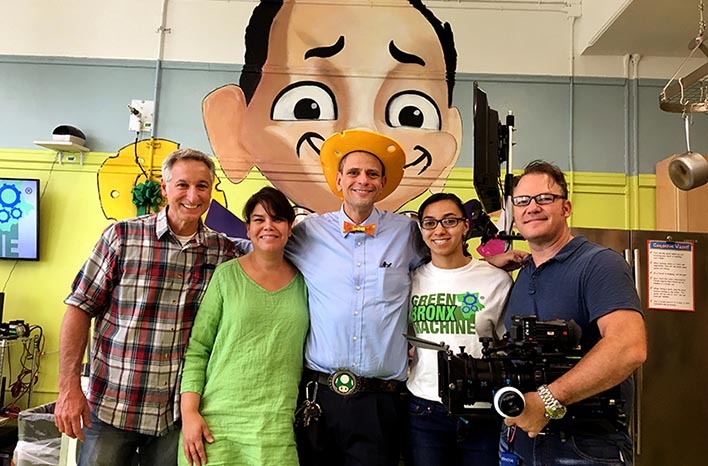 The one that we won the Emmy on – for Stephen Ritz, the Green Bronx Machine was just a story that touched my heart in a big way. Erin: Right. And for all of our listeners who haven’t watched that episode, I’m going to put a link in the show notes, because there is a moment at the end that… I figured that this would be one of your favorites. I figured this would be the one that you would call out, because you did get emotional with that one. That one really touched your heart. So I’ll put a link to that in the show notes. What about if it weren’t that one? Do you have another favorite? Joe: This season – nine – we did a few cool ones. One that may follow up with another Emmy – I don’t know – I’m just gonna go out there and make a prediction. But we did a story on Jason Brown a former NFL football player with the Baltimore Ravens and the St. Louis Rams. Highest paid center in the League ever. And at 27 years old – he’s a whopping 35 years old now or so – but at 27 he walked away from a $35 million dollar contract and all that fame and fortune and prestige that goes with it to become a farmer. And here’s the crazy thing – he’d never farmed before! So, he walked away from that much money with his seven children and his wife; bought a thousand acres outside of Raleigh, NC; and started farming. And it’s called First Fruits Farm, and the reason it’s called First Fruits Farm is that his vision, his calling was to give away the first fruits of his farm to people in need. Thing is, most people who give away produce from their farm, typically, are doing it on the gleaning side – which is the end – the residue, the leftovers. He never wanted to do that. So as it turns out, not only is he giving away or has given away nearly a million pounds of sweet potatoes and other produce in the few years that he’s been farming – he gives it all away. Not just the first fruits, but all of them. So, I say that – just because of the feedback, the comments, from our viewers has been over the top – people just feel like that’s the best show they’ve ever seen. And it’s not, you know, it’s a different show, but it’s really the story of this man, this incredible man and his vision and his heart and what he walked away from to do what he does. And it’s compelling. It’s heartwarming. It’s motivating. It’s all these things that you want as Producer and as a host. I just enjoyed spending time with him. His heart is the size of his helmet and this guy is incredible. And it’s a show that I just hope everybody gets to watch eventually. So yeah, that’s another one that’s near and dear to my heart. And having done all those 200 shows, it’s hard to pick your first favorite or your second favorite. There are a lot, but those two come to mind, because they’re more recent than the others. Erin: Well, and I’m going to put a link to that episode in the show notes as well. I know that one, that one made me cry. Good tears. That’s a great, great episode. Joe: Take comfort in knowing you’re not alone. There are a lot of people – it touched, a lot of people. 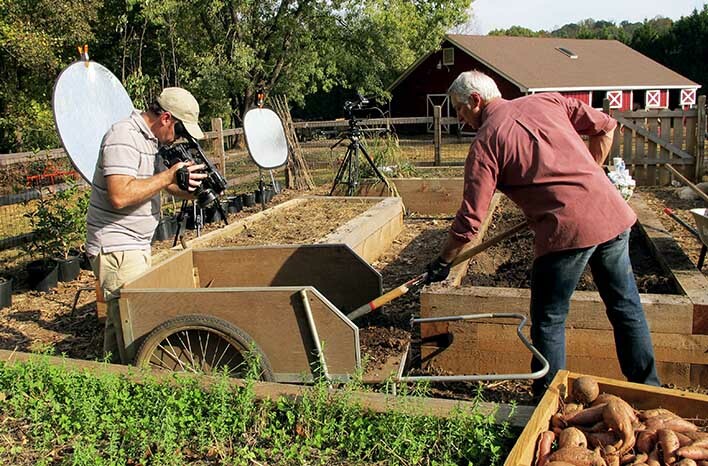 We are filming all year long at the GardenFarm. Erin: Well, and I’ll also link to the Growing a Greener World website and YouTube channel as well, so that people have access to all of the shows, and they can pick their favorite. Okay. So then in addition to Growing a Greener World and all those duties that you’re talking about and everything that you have on your plates, you kind of began a new venture. I know you had started joe gardener, but you really launched it at whole new level. So, what led you to really start joe gardener at this new level of the past year and a half or so? Joe: Well, it’s just because, through Growing a Greener World, so many people were contacting us saying how much they love the show but how many more questions they had. You know, we were really just wetting their appetite. Twenty six minutes of the show is just not enough to really go deep in any one topic, and you can’t. Because in a television show you have to keep it moving, and you can only stay on one topic for a couple minutes at the most before you’re supposed to move on. That really just went against my grain, because I have this innate desire to teach. My mother was a – oh yeah – that woman that we keep talking about. My mother was a high school teacher, and she had that in her. And I do think that I got that from her. I love to teach, but I felt like, as much as people were enjoying the show and they were learning things – as they said they were – they wanted more and more and more. And I just couldn’t give it to them through the television show. So, joe gardener came back around. It was a brand and a website that was started before Growing a Greener World, but I got so busy with a television show that I had to put joe gardener on the shelf. But then I realized, okay, so I’m eight years into this show. I think I can figure out how to do both at the same time. 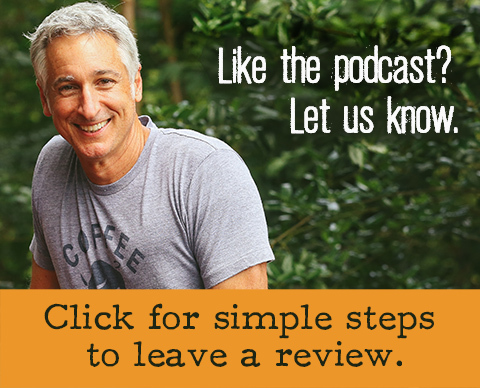 So, joegardener.com reemerged, and we hit the ground running with the podcast, which I also love doing. I had a series called Growing a Greener World Podcast that had, like, 35 episodes in it, but a podcast is a super time-consuming thing to do. But I love that format. I love that media. 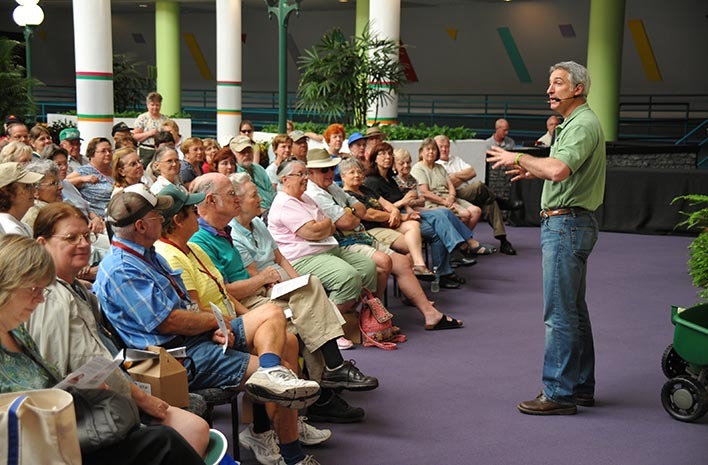 And that was a great opportunity for teaching, and it really worked well with the joe gardener message of just teaching people how to be better, smarter, more confident gardeners. That was the intent of what joegardener.com and the brand is all about – is going deeper with that information and meeting people wherever they are. Whether they’re a beginning gardener who, maybe they haven’t even started gardening yet, or maybe they just started and they’re not sure what that next step or two is. What I wanted to do was come along with my background and professional experience and take them to that next level, wherever that next level was. And so the website provided that through video and through the podcast and the blog post. And then all the social media periphery that went with that to really engage with everybody, and it’s been tremendously successful. As we sit here doing this podcast, we’re approaching our 90th episode in another couple, and the downloads have been fantastic. And the response has been great, and that’s what I was hoping for. People really have taken the content that we’ve created and learned so much by that. And it’s given me that opportunity to teach that I just don’t have in the television show, as much as I’d like to do it there. I may spin off with other forms of video to be more teaching focused and go deeper on some topics – that’s in the works as well. So there’s a lot of things out there. But for now joegardener.com is where we go and it will be. It’s just, it’s really established at this point – where we can go deeper with that information and meet people where they are to get them further along in their journey. And it’s great to see such positive feedback to really know that it’s making a difference for how people garden. It is. We hear it every day. Yeah. Erin: So, clearly there are a lot of moving parts between Growing a Greener World and joe gardener projects and on top of all of that, you’re maintaining a five acre property, a garden that pretty much needs to stay perfect all year long. Plus – on top of that, you’re also a frequent speaker. You get interviewed quite frequently as an industry expert. So, do you ever sleep, Joe? Do you ever get sleep? Joe: Can’t you tell by looking at me? I don’t sleep. Don’t you just see that? Erin: We actually, I actually joke often with Joe that he gets about two hours of sleep each night. He’s a hard-working man. Joe: Well, the thing about it is, as we know, we can’t create more hours in our day, so we have to find a way to carve them off somewhere else. You know, something has to give. Right? And I know this is contrary to good health and all of that, but for me, I have to take them out of my sleep account. Erin: I do want to ask you – those speaking events and those interviews that you get asked to do quite often throughout the course of the year – do you enjoy those? What do you enjoy about doing them? I speak at various events around the country throughout the year, and I love these opportunities to engage with others. Joe: I love those. I love those. But the truth is I am such a home body. It’s not even funny. So like when we go on the road to all these great places to film to television – like we went to Denali, AK is our last show, and we did a great episode there – which also is one of my favorites. You know, you’re gone for a while. In that case, were gone for eight days, and we’re in this beautiful national park. As much as I love that, I can’t wait to get back home. I like being home. And so when I go to speak for a 24/48 hour period, and I go to these great places – again, you would think: “Gosh, you know, they pay for your flight. They pay for your hotel. All the expenses are covered. 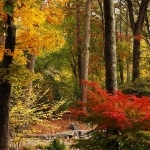 Why not stick around another day or two or three and take in the sights and enjoy where you are?” And I should do that. I really should. But unfortunately, my schedule is such that it just really doesn’t allow for that. I guess it could. I am kind of the boss, but the demands are such that, if I’m giving up sleep, I probably don’t have the luxury of giving up all that extra time as well to play a little bit more. Now I have fun, don’t get me wrong. I love what I do, and I consider it play all the time – while I’m working harder than I ever have in my life. So, it’s a good combination. But back to your question about the sleep. Thank goodness I am blessed – I guess it’s blessed. I don’t know if it’s cursed or blessed, but I feel wide awake when I wake up and I have gotten only, maybe on average, six at the most hours of sleep. So far, so good. I don’t know what that’s doing on the inside, but I try to exercise every day and eat well too. So, I think that, maybe, helps with all of that. Erin: And you love meeting all those great people at those speaking events. Joe: Well that’s, that’s where the real engagement happens, even with social media or whatever correspondence there is otherwise. There’s no substitute for shaking hands and looking at your friends, that you’ve never met but you know through social media or elsewhere, in the eye and talking to them, engaging with them. I love that. I am a hugger, and I hug those people all the time, because I’m so happy to meet them and finally put a real-life face with that name and that memory of how we’ve communicated elsewhere. There’s no substitute for that, and I’ll never get tired of that. Which is why I’ll never stop traveling – is to meet those folks that are such good friends of the show and of what we do. It’s fun to meet them. Joe: None. That’s artificial. All of that out there is fake. It’s like a movie set. It’s like fake plants and all of that. Ha! Honestly, I try to make a point of getting out there – even in my busiest days off-season, like not gardening season – about once a day. And during the growing season as spring hits – I’ve got to tell you, I’m that guy that walks out there multiple times a day, because I want to see how much more the tomato seedlings have grown since the two hours before I last visited. You know, I want to see that progress. So, I get out there in the morning and in the evening and, then, during the day – a couple times during the active growing season. I try to not be a stranger in my garden. So maybe, every day – once a day. Erin: And your garden is part of your five-acre GardenFarm™, and that’s just north of Atlanta, GA.
Erin: Before we really talk about the garden itself, let’s talk a little bit about your property overall. Can you describe it? 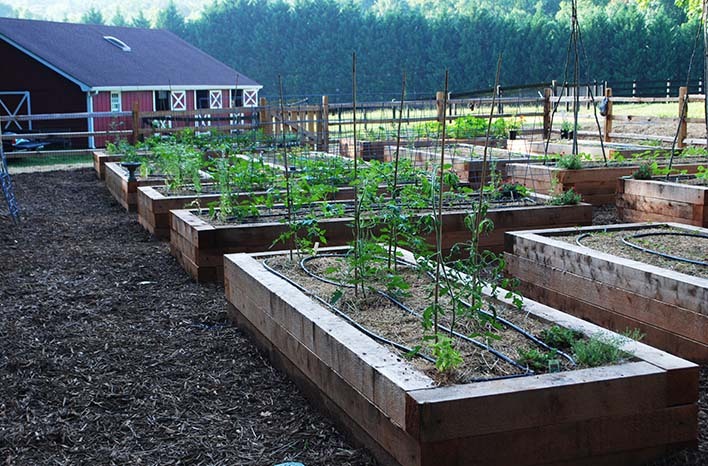 Give people a mental picture of what the GardenFarm looks like? Joe: Yeah. So, we call it a GardenFarm just because there’s a big garden on a small farm, and it kind of works. 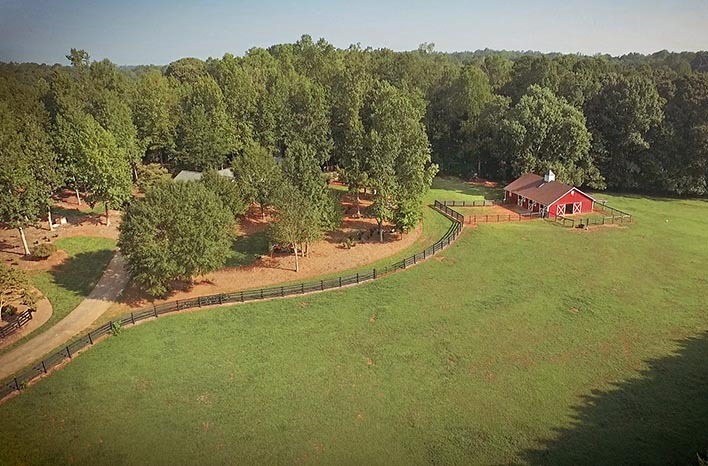 The barn – the kind-of-iconic red barn is just 100 feet away from where the garden is. So, you get to see that all the time. And we have chickens and goats and ducks and horses and rabbits and, kind of, all of the basic hobby farm animals that you would have – all around the property. And the chickens are free range. 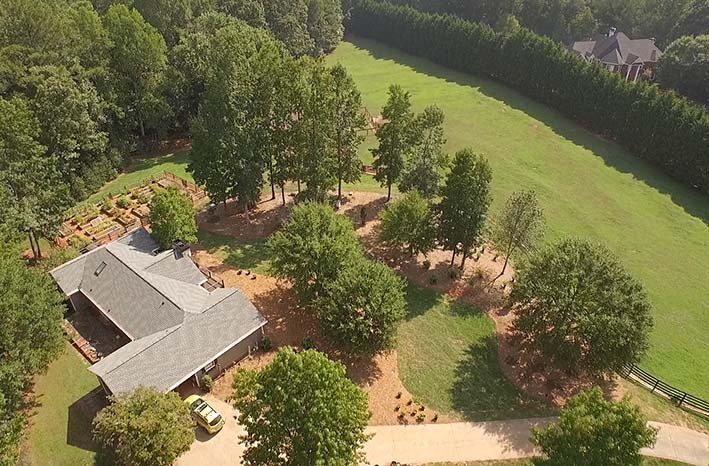 An aerial view of the approach to my GardenFarm – just north of Atlanta, GA. So – if you’ve ever watched the show or listened to a podcast – chances are, you’ve either seen or heard Louie, our resident rooster, who – as I speak – is looking at me through the window. I mean, we are locking eyes right now. We’re locking eyes. Then, there’s a lot of native plants on my property. 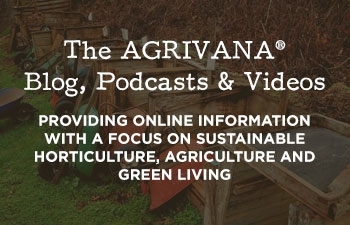 So in addition to the food garden and the raised beds, well, one thing that we don’t feature enough yet – and we will very soon in these upcoming episodes – is the other part of what I love to do, which is I love plants and trees, you know? I love native plants, especially because of the ecological value that they provide in attracting wildlife and providing food sources and shelter to beneficial insects and birds and all of that. I’m fascinated with native plants. So I have a lot of them. In fact, most of the plants that I’ve added to garden landscape are natives. Now – I’m not a purist. So, I’m not the guy that says you can only have natIves, but I do feel like they’re important. They’re valuable for the function that they serve in a landscape, and I want to encourage other people to do the same where they live. So, that’s a big part of what I’m doing that you don’t often see. But I’m in that part of my landscape a lot too. So, you asked me – as far as size – you mentioned five acres, and I’d say about half of that is pasture for the horses. The other half is raised bed garden and, then, lots of landscape beds – about half landscape beds and half lawn. Because the lawn, for me, is that separation between the beds, and it’s sort of that pathway. It’s how you move through the garden areas, and it’s that rest to the eyes. And I love grass. I think it’s really attractive in the landscape – in proportion to the landscape. So, I’m not a big lawn guy, but I do like having it as part of the landscape. For me, I’m at the right balance between half lawn and half landscape beds – outside of the raised bed garden area. Erin: Right – and ,now, you bought the property, what – about eight years ago, is that right? Joe: Yeah, seven or eight I think. Yeah. And it was just an overwhelmed mess. Erin: I was just going to say, you’ve told me it was really overgrown. So, tell us a little bit about the work that you did. What did you have to do to clear the land and get it livable again? Joe: It almost wasn’t livable to a certain degree. Yeah. And talking about being busy on top of everything else. I was the One Man Band that was out there clearing by hand, and – what I mean by hand – hand cutting invasive vines and in nasty trees that shouldn’t have been there to begin with and trying to just day-by-day blaze a little bit more pathway into the woods. Figuring out really what I had landscape-wise or potentially landscape-wise, because I really couldn’t assess what my property looked like because it was so overgrown when we bought it. 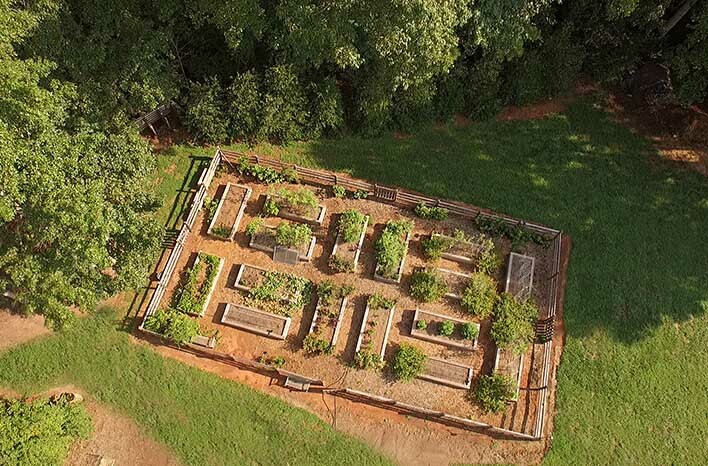 An overhead view of the GardenFarm and how the garden relates to the location of the house. Here, you can also see some of my young landscape beds and the relationship between beds to lawn, which is about 2:1. I guess, fortunately for us, it was. Because a lot of people didn’t have the vision – when this house was for sale, this property was for sale – to see the opportunity that that was hidden behind all of the overgrowth that had taken place. So, I did – thank goodness – and spent the first 2-3 years on this property clearing and clearing and clearing, before the raised bed garden even went in. And I’m still not through, but I have clearly made a lot of progress. Little by little every weekend, on my hands and knees. And I’m not kidding when I say that. Just trying to get another foot of progress into the thicket and, then, hauling it out by hand. And loading up a trailer, and taking it to the landscape supply company that would take that sort of waste and grind it up as mulch, and so forth. So, I’m definitely a do-er – to my detriment. I’m very much a hands-on guy that doesn’t do a good job at hiring help for that. So, I was that guy. Yeah. Erin: Well, and I think it’s a great lesson that people might look at your photos – and I’m going to include, of course, several photos of the GardenFarm including a couple of overhead shots in the show notes – and it’s easy to take a look at those and think: “That’s the finished product and, well, I can’t ever get to that!” But really, it’s just step-by-step, little-by-little, putting-your-back into it. Joe: Sometimes just getting the work done, and just biting it off bit-by-bit. And the trick to that, I think, is just keeping the blinders on and not letting yourself get overwhelmed. Because you could look at that property and say: “There’s no way I could ever tackle this.” Where there’s a will, there’s a way. And for me, I knew that it could be done. I didn’t know how long it would take, but my focus was that I’m going to take a section of this property this weekend – it might be 50 feet wide and 10 feet deep – but that’s where I was going to live for that weekend. And I was going to tackle it. And do you know what? By the end of that weekend, I had conquered that area, and that was progress. It might’ve been a drop in the bucket. But over time, you start to see the fruits of your labor, and you start to see that progress. And the more progress you see, the more encouraged you become – and the more motivated you are to get out there and take that next section. Little by little over time, you really do overcome what was once overwhelm. It’s now a victory for you, and there’s lots of little victories along the way, but ultimately, you can look back on all of that and say: “Gosh, I can’t believe I did that!” But it happens, and you just have to believe that it will, and it will. Erin: And to focus on the progress. Erin: Now, real quick Joe, for some of our listeners who aren’t familiar with the Georgia area – including listeners outside the U.S. We have a lot of listeners who don’t live in the U.S. or Canada, and they might not be familiar with that area. Could you, maybe, briefly describe what the climate is like here and, kind of, the terrain in general? Just paint that picture a bit. Joe: Yeah, it’s beautiful here. It’s hilly. It’s not flat, but it’s not mountainous yet. But although I could be in the mountains in an hour north – easy drive right up into the Smokey Mountains and the Appalachians – the Piedmont Area is where I live. So, we are, on our hottest days, maybe getting to 100 degrees F, but I can tell you – this past summer, we probably never got above mid-nineties at the highest. And usually, it was in the low-nineties. Now, it is humid. So when you add that to it, it’s kind of unbearable – especially when you’re out filming a garden television show. That’s not fun. I will tell you – that’s kind of brutal, but you have to do it. Then as far as cold temperatures, we will get down into the low double digits. So, what is that? 12, 13, 15 degrees F occasionally? Usually, twenties is commonly the colder side of where we get and, occasionally, into single digits. But the exception would be anything colder than that. And that’s every so often. Not very often. As far as snowfall, we might get one snowfall a year, sometimes two, but that’s about it. Other than that, it’s very pleasant here. We have beautiful fall color. Spring is incredible here – with the dogwoods and the redbuds and the forsythia – you name it. It’s beautiful in the fall and the spring. And the summer is probably the worst part, but you get used to it. I’ve only known humidity all my life growing up in Miami, so I’m used to that. An overhead view of my sixteen raised beds at the GardenFarm. Erin: Okay. Joe, here’s a question for you. So you’ve been gardening for a long time, been gardening for a number of years. You’ve been teaching people how to do it. You’ve been immersed in the garden, basically, for years now. So, does it ever get old? Does it ever feel overwhelming? Does it ever get easy? Does it ever feel too easy? Just tell us about the experience there, and how that’s changed for you over the years. Do you perceive it any differently now than you did when you first started out? Joe: I’ll tell you this much – every year, every season – I mean, even within the same year – the new season within the year – I am more excited than I’ve ever been before! So every new year, I’m more excited than the previous year, because I know this: As much as I know about gardening, there’s always more to learn. Every year is different, and the one thing I’ve learned by now – and I learned this a long time ago – I am not in control. As much as I’d like to think I am, Mother Nature always throws those curve balls in my direction – and in everyone else’s of course. And she reminds us who is in charge. I just always want to give her a run for her money. That’s really where I’ve settled with “us” so, “we” have this agreement now, but because of that, it’s exciting to me and never boring. I just hope that what I can learn from those challenges and curve balls is that I learned something new, and I always do. There’s no shortage of that, and that’s what makes me, at this stage in my garden career, better and smarter and more confident – is just absorbing those challenges and even those mistakes. And I make them every year, all the time. And I like it. I embrace the mistakes, and I look forward to the mistakes. Because I’m not just going to let that mistake lie. I’m going to learn from it and try not to repeat it again, and that’s where I get better. And that’s how we can all benefit from time in the garden – no matter where we are. But even at my stage, decades in, I cannot wait. As we speak, I’ve got seedlings started indoors, because they’re going out in the garden as soon as it’s warm enough. I babysit them multiple times a day, because I’m so excited about it. And I’ve been starting seeds for years! So the point is, I’m never bored. I’m more excited every day than the day before, and I just can’t wait for the next. So hopefully, that answers your question. Erin: Absolutely – yeah. And there are probably a few gardeners out there who’ve also been gardening for a few years and can relate to that more and more every year. Joe: Yup. So keep making mistakes, and keep on learning. Then – share those mistakes. That’s the other thing I would say. The beautiful thing about the garden community is that we are such a giving community, sharing what we know, sharing what we’ve learned, sharing where we’ve messed up. And then, everybody else jumps in there to sort of commiserate and provide their anecdotes for fixing that too. And I love that too. It’s just such a great community. Joe: Absolutely. That’s the word. So supportive. Erin: Well, and let’s move everybody now into what is probably the favorite aspect for most people – you’re 16-raised-beds garden. And hopefully all of your listeners have seen pictures of your garden, but if not, I’m going to post some photos of that in the show notes, and I’ll also post a couple of photos of the garden in progress – of building the raised beds – so that they can see the beginning and the after. But just describe that magical garden of yours, Joe. Is it really magical? 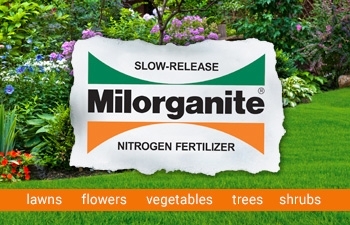 Does it have some fairyland forcefield around it that keeps out pests and diseases and weeds – and all those things all other gardeners struggle with? How do you keep it – every day, it’s got to look great. So, does it have some magical spell over it? Joe: There’s no magical spell. Listen, I’m like everybody else. I have to contend with all of those challenges just like everybody else, but I will tell you that there are things that I do that everybody else can do also that minimizes that. So yes, 16 raised beds there. They’re untreated cedar wood, and we’ll put a link into the show notes also on putting this garden together. We did an episode on that whole garden coming together – from bare land – and we filmed that, as well as put links in those show notes on how to build that garden – with plans and everything else that people ask us about all the time. So, we’ll have that there as well. 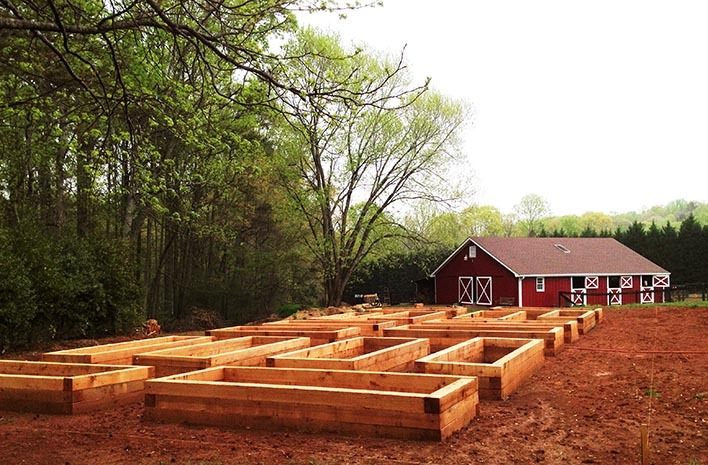 The GardenFarm raised beds under construction. They’re made of untreated 6×6 cedar timbers. The beds are 18-inches high, 4-feet wide and 12-feet long. But Erin, to your question, the way that I deal with minimizing the annoyances of pests and diseases and the challenges that we all face is to focus on the blocking and tackling – the basics. And that is incredible soil with lots of organic matter and certified compost and things that really make a difference. And that’s, really, probably the most important thing I did, because from there, you give an environment for your plants to be in the most hospitable growing situation. Besides the great soil, I have a two-inch layer of some type of mulch. My favorite is shredded leaves at the base, the soil base, and that’s going to prevent a lot of the diseases that could hurt my plants from getting there. And it keeps the moisture in the soil, so my plants have the water they need – combined with drip irrigation on automatic timers. I’m also doing proactive pest and disease control. So, I’m always looking for signs of trouble, before they become worse. And of course, we do get those early, before they go to seed and spread there. And the funny thing is, and maybe it’s not funny – I’m really happy about this, but people look at my garden and they don’t see weeds in it. And they say: “Well, how do you do that? And it’s not that I don’t have weeds, but with mulch pathways, that cuts down on a lot of the weeds that I have. But about twice a year, I get on my hands and knees, and I weed those pathways, but it’s not bad. And because of the mulch and I’m just staying ahead of it, so all the challenges that we’re faced with – pests, diseases and weeds – I’m not doing anything differently than what other people could do. I just focus on those basics, set my garden up for success, and then I stay engaged with it. 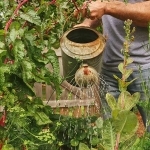 That’s really – if there’s magic to it – it’s the magical combination of those things that really minimizes the amount of effort that you have to put into your garden, and maximizes the amount of enjoyment you get out of it. 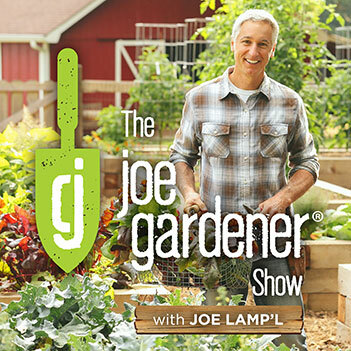 Erin: And here’s the thing, everybody – in case, you don’t know this about him, Joe Lamp’l loves to weed! He loves to weed. He talks about it quite a bit – not quite as much as he talks about compost, but he does talk about it a lot. I think it’s his zen time. Is it your zen time? Joe: Yep – I was going to say – it’s my zen time. When it has rained – which has done a lot here lately – the soil is looser, and so those weeds come up almost effortlessly. So, I’m a big fan of hand pulling too. I do not mind getting on my hands and knees with a good pair of thin gloves. I like to use those Atlas gloves, because you have the good touch. It’s like surgeon’s gloves, and you have all the feel to it – but your hands stay clean. 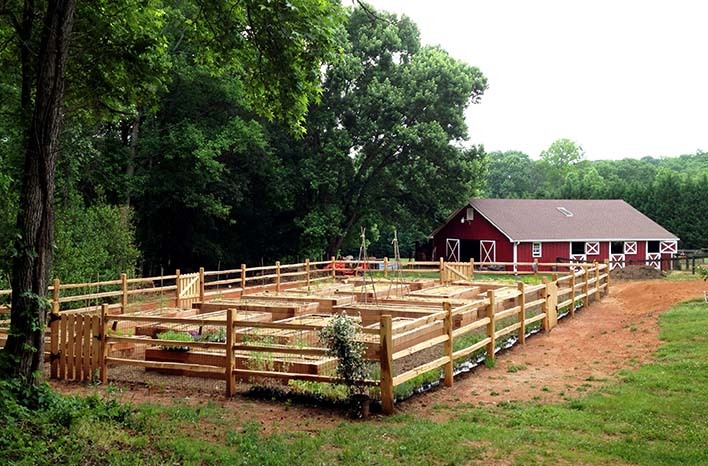 An early shot of the completed garden area at the GardenFarm. The realization of this dream was a long time in coming – and involved a lot of work. And knock on wood, six years running and not a single deer has entered the garden! I’ll pull those weeds out, and it is my zen time. It’s therapeutic, because to tell you what – I may be listening to a podcast, if I’m listening to anything at all. But more often than not, I’m listening to nature. I love being out there when it’s peaceful and quiet and hear the birds and just the sounds of nature and the wind blowing through the trees. And I’ll tell you – maybe if there’s a magical time for me – maybe that’s why I love reading so much, because it really slows me down and quiets me down. And I need that, because of the pace we’ve already discussed with my life. That’s important time for me, and so, weeding has become my friend. Yeah. Erin: And the truth is, you’re filming there at the garden and all across the landscape, pretty much every month of the year, right? Joe: All throughout the year. Pretty much. Fortunately for me – although my garden is far from perfect, my landscape is far from perfect – because being on the road as much as I am, I still can’t stay ahead of it all. So, there are many times where I have a discussion with my camera guy. Truth be told. “Hey Carl – Don’t, don’t shoot in that direction right now. It doesn’t look its best.” And maybe, just maybe, I’ll let my guard down there because, the reality of it is – this is not a perfect garden, and I do have the same struggles and challenges everybody else does. And so having a TV garden is also a good thing and sometimes not a good thing, because the pressure’s on all the time. So, you do have that extra pressure to feel like, man, you gotta, you gotta up your game – all the time. So, the thing about having a garden that’s on television all the time is – one, on the good side, it keeps you on your toes, and you kind of know that the garden needs to look good all the time. And the downside is – the garden’s got to look good all the time. So, you’ve got to stay on your toes – which is the pressure part, you know? And when you’re traveling and you’re on the road so much and you can’t get back there, that’s where the blocking and tackling and those basics really come back to help you – with that extra mulch to keep the weeds down and to know that your plants are going to have the water that they need. 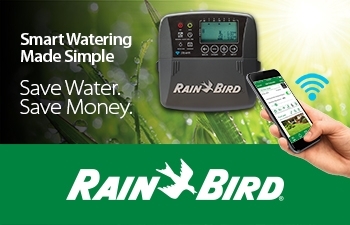 And you’ve got, maybe, drip irrigation with timers on everything. So, there’s a lot of things that I’ve done to put my garden somewhat on autopilot. Not completely, but certainly, take the stress away when I am traveling, and yet, there’s no substitute for when I get back – getting my hands in the soil and around those plants and checking things out. Erin: That’s when you can rely on your zen time as you’re weeding – when you can kind of decompress from all of that. Joe: I don’t hate the weeds. Erin: And on top of all of that yet another thing! This weekend, you are hosting your very first live webinar. Joe: I am. Yeah. I felt like I didn’t have enough to do, so I thought this would be one more thing. It’s exciting. It’s scary and exciting too. You know, I speak all over all the time to a lot of people, and I love live – TODAY SHOW or Good Morning America. I thrive on, and that’s to a lot of people – but this is going to be my tribe and the people that I know and love the most through social. 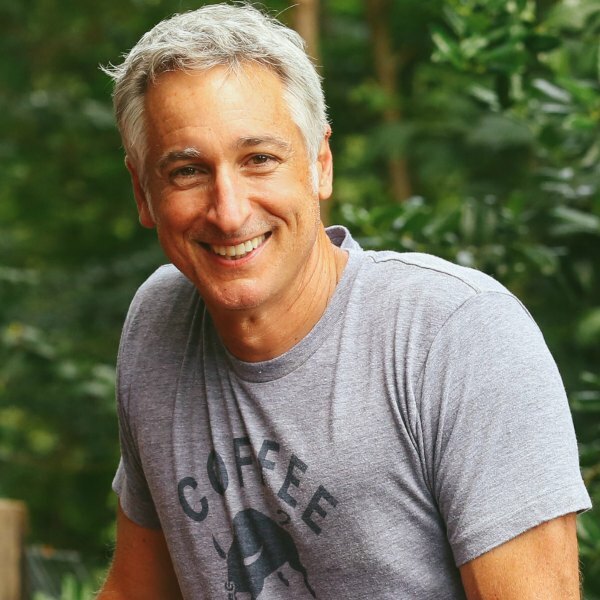 They’re going to be checking in on this live webinar about the five principles that I did in my television garden for DIY Network that kept It thriving all the time – even when other gardens were failing. 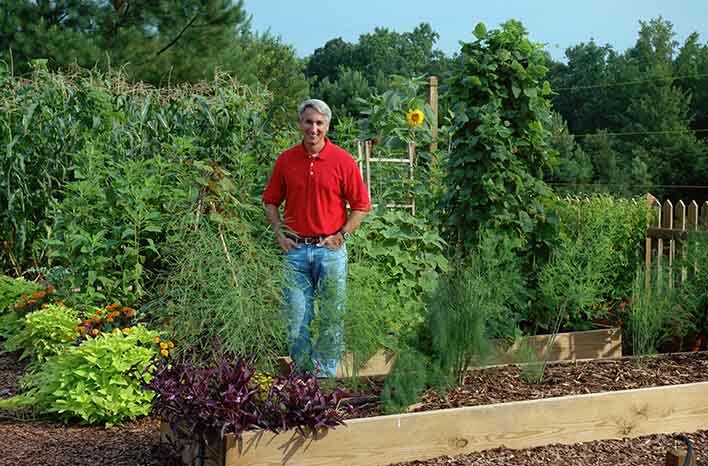 Standing amidst the garden beds I created for my first show – DIY Network’s Fresh from the Garden. The plants in these beds had to look great every single day – for television. And there are some unique things there, and that’s what we’re going to share in the webinar – which is a Saturday, 10:00 am EST. Joe: Check. Check that word – all of the technical side. Erin: Yeah, I use the term “fortunate” loosely, but by the time this podcast is airing, it’s going to be in just a couple of days. So, we’ll have all of these technical side of things worked out, and you’ll be all ready to go – raring to go. And I’ve got to tell you, if you are listening, my friends, before January 19th – again, that’s the date of the webinar – is Saturday, January 19th, the very first live webinar. If you’re listening before that date, just stop the podcast right now. Pause it – go to the show notes for this episode, and there’s the link there. You want to register right away, because when we’re recording this podcast – of course we haven’t put registration up yet, so we’re not sure how many people will have registered by the time that it airs. But – it’s limited seating, so we want to make sure that everybody who wants to join has a space. Since space is limited, you want to be sure and register right away. So pause the podcast, get in there and register, and then, come back to us. And I’m going to give a little bit of a spoiler alert, because in the webinar, you show three gardens that you’ve transformed from basically empty fields of clay into beautiful gardens with amazing soil that are putting out a ton of produce, and they’re healthy and they’re vibrant. I know that you don’t have time to talk very much about that right now. We’ve only got an hour in this podcast, but you get to all of that In the webinar, right? Joe: Oh, I do pictures and lots of information as to how they came to be that way. Yes. Erin: Then another big announcement that will have just happened during the date of this podcast recording. ThIs is a big one as well – and if you’re listening to this early on the morning of Thursday, January 17th – you are a lucky one, because you are one of the very first to hear about this. You are launching a new project, Joe. Tell us about that new project a little bit. 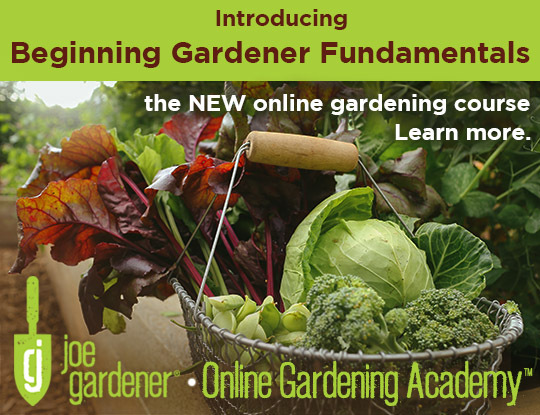 Joe: As if I wasn’t a glutton for punishment – one more thing, and we’re really excited about this – is an online course. 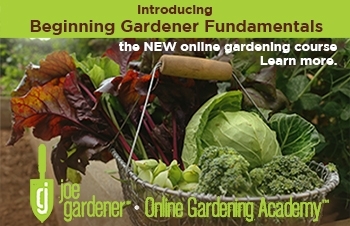 Our first ever online course on Beginning Gardener Fundamentals. What we wanted to do there – we have a lot of people in our group and in our audience that are very experienced gardeners. I mean some are professional horticulturalists and even professors and people that have been doing this professionally all their life. Yet at the same time, what I love about our listeners – we have brand new gardeners and those people that maybe haven’t even started yet. But they know they want to, and they’re just looking for ideas and tips and inspiration. Well, we felt like those are the ones that are most underserved, and we want to get them to the next level too. You know, we want to bring them up as best we can. So with our influence and ability to reach them, we created this course that’s focusing on that brand new gardener or that gardener that just wants to sharpen their skills and take it to the next level. Maybe they’re a year or two in, and they’re kind of stuck. They need a push and some help on knowing what to do next. That’s what this course is really designed to be. If you’re that person that’s been gardening for a long time, this is probably not your course, and yet, we’re coming up with some really super-exciting projects after this that are going to speak perfectly to you. But for our first one, this was where our heart was. This is what we’ve been talking about for over a year behind-the-scenes, and I’m in. It’s about to launch, and we are super-excited about it. We have been working our tails off on this – lately especially. I’m so excited to launch that and, then, mentor students through a private Facebook group for those that have signed up for the course – so that we can really make sure that they’re getting their questions answered, and I’m there to help them. I’m on that journey with them. That’s going to be super cool. 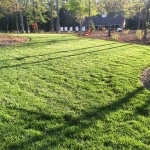 One of the ways I am able to keep my garden going strong – even during my heavy travel schedule – is by putting watering on autopilot and keeping the pathways covered with a generous layer of hardwood mulch. Erin: So registration of the course opens up just this Thursday the 17th, and then, it’s closing in just a few days, right? Because you want to keep that group small? Erin: And I’ll have a link to the registration page in the show notes for that as well. Then for everyone who registers, they will get an invitation, as well, to that private Facebook group – where they can continue to ask any questions. So, you can really walk them through this upcoming season, walk them through the course, and walk them through the challenges that they reach as they move through the season. Right? Joe: Yeah, and it’s that opportunity that I’ve always craved – that is to put those teaching skills to work with a hungry group. So, I’ll be in that group, working with them during the season. So, I think that may be one of the extra special things that I’m most excited about, and I think may be the best. One of the best benefits is – it’s not just the course, it’s the actual interaction and answering specific questions in real time. Erin: Absolutely. Yeah. You know, it’s great that we have the podcast, and we have the website and blogs and videos. But I know for beginning gardeners, you kind of have to jump around. You have to know what you’re looking for. So, one of the best things about this course is that it really walks you through each basic step-by-step and really kind of holds your hand through that. So that you don’t have to go bouncing around and looking for different things. 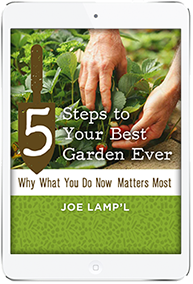 It’s kind of a resource manual for good gardening. And I say that because I’m really excited. I’ve got a friend who’s pretty new to gardening, and so, I hear from her quite a bit. She’s often asking me: “What would Joe say? I checked out his website.” Where would I find this on his website?” And she uses those search fields a lot, but she still kind of leans on me for answering questions and for getting more information out of you, but I’m going to buy this for her as a birthday gift. I’m really excited – her birthday’s coming up, and so I’m excited to get this for her as a gift, because then, she’ll be able to really walk through that process. And then, she’ll be able to keep it all year long too. She’ll be able to watch it, refer back to it when she needs a refresher. So, I’m really excited on a personal note to give this as a birthday gift to this friend of mine, and she’ll be really excited about that. Joe: You are so smart. What a great gift. Erin: I learned from the best, Joe Lamp’l! Joe: Good job. I like that idea. That’s a great idea. Erin: Okay, so last question. I guess we’ve talked so much about how busy you are all the time. You really have your hands going in so many different directions, you must be a project managing whiz, because you keep a handle on it all. You still keep teaching and providing everyone that great garden information, but let’s just say – for a minute – the world stops for 24 hours, and you get 24 hours all to yourself. You don’t need to get anything done. The world goes on pause. What do you spend that 24 hours doing? Joe: Am I staying here? Am I going anywhere? Erin: You can be anywhere. You can go anywhere. You can stay where you are. What do you spend that 24 hours doing? Joe: Alright, so I have potentially two answers there. If I’m not going anywhere – honestly, I would just take some time outside and cruise the property, even more so than I do. Because when I do it now, I know I’ve got to get back in, because I have a lot of other things to do, right? So, I’m always feeling a little rushed when I’m out there. Even now. But I would give anything, especially this time of year, to be out there with no clocks running and knowing that I had all the time I needed. I love to prune. This is another thing about me. We don’t talk enough about. I love to prune, so weeding and pruning are my zen time – especially pruning. So, I would be out there – if I’m staying home. 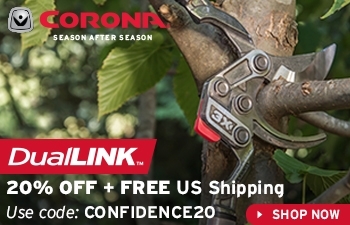 Even if I had the option to leave honestly, as much as I love pruning – I would probably be zenning out on some pruning time over the next 24 hours. If I decided I wanted to leave, I would just head up to the mountains. Although this is a cold time of year, let’s just pretend it’s a beautiful time of the year. I’d head up to the mountains, and I’d hit the trails. I love nature. I love being out in it and hiking a mountain trail or a mountain bike ride in the woods not far from here would do my soul very well. And I could definitely use that mental downtime to decompress, and so, that’s probably what I would do. Joe: We’re always talking about business, but this was kind of a fun diversion. I hope that folks got something out of that – time will tell. But thank you, Erin, for taking the time to come up with some questions and ask those of me and sharing a little bit about what we do behind the scenes. I think that will be fun. I always love that when I hear it from other people. So everybody, I hope that you did enjoy that. Take care, and I’ll see you back here really soon.